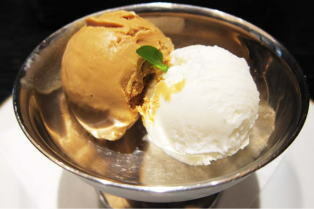 Aisu Kurimu ('アイスクリーム', is classified into sweets), is known as Ice Cream in English, and 冰淇淋 (Bīngqílín) in Chinese. Egg White, Milk, Whipping Cream, Granulated Sugar and Water. Ice Cream Flavor (Vanilla, Strawberry, Grape, Chocolate, Milk, Sesame, Matcha..). May 9th is the day of the ice cream in Japan.